Who is involved: Foton, the Centre of Expertise for Dementia, leads and coordinates the project. They work in partnership with SEL North West Flanders primary health care cooperation initiative; the consultation platform for dementia, an open and pluralistic dialogue forum; and the City of Bruges. In 2012 Together for a dementia-friendly Bruges won an EFID award. 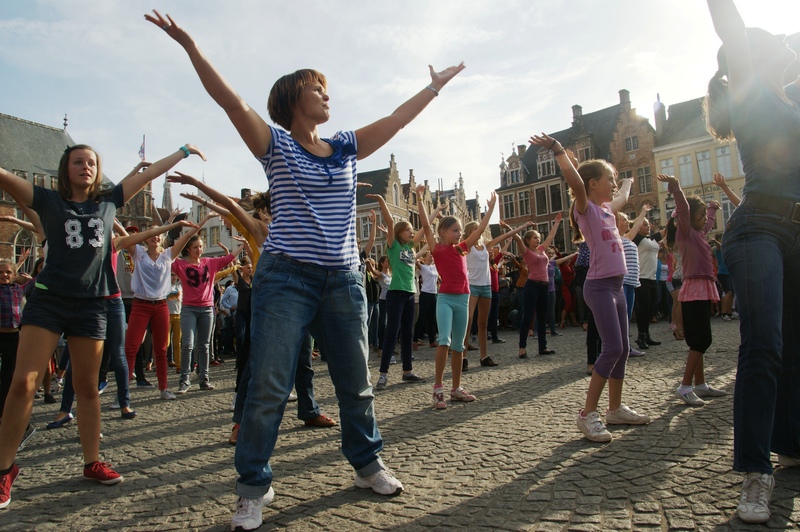 Nature of activity: the aim is to create a dementia-friendly Bruges. This comprises a wide range of activities including working with partners across health and social care and the local business community to raise awareness of dementia. One of the aims has been to make dementia visible in the city, and this can be reflected by merchants and others showing the red knotted handkerchief logo in their windows. Merchants doing this show their solidarity with people with dementia and their family members. The logo indicates: dementia can be discussed here and you will receive good help. 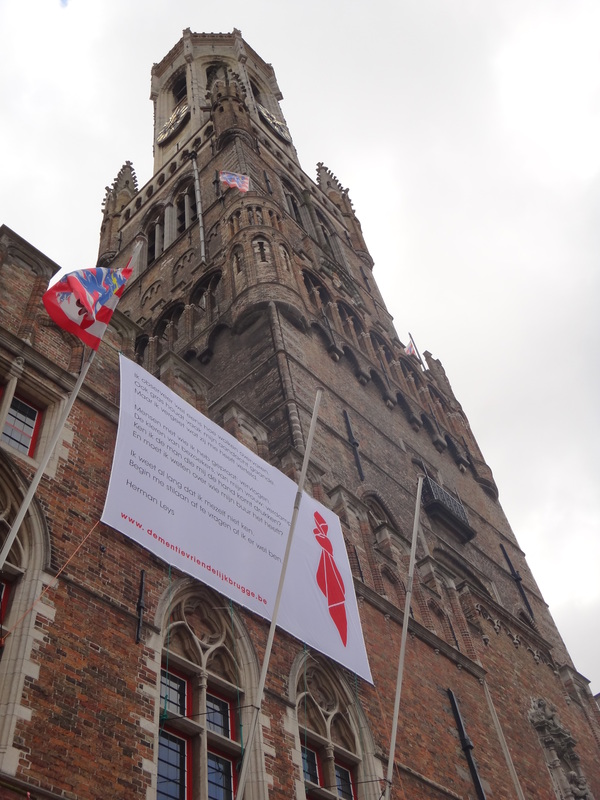 In September 2015 the Bruges Concert Hall was presented with the Solidarity logo of the knotted handkerchief in recognition of its commitment and efforts to create a vibrant art and dementia-friendly place. The ‘dementia-friendly Bruges’ website contains a wealth of information about all of the activities that are taking place in Bruges and beyond, including information about films (e.g. ‘Still Alice’ and ‘Do Not Forget Me’) and about a golden gnome award presented to an innovative project bringing together many organisations to create comprehensive care for early onset dementia. Further, in March 2015 the Golden Falcon Seagull Theatre festival included an inspiring play about the role of laughter in alleviating the misery of loss.